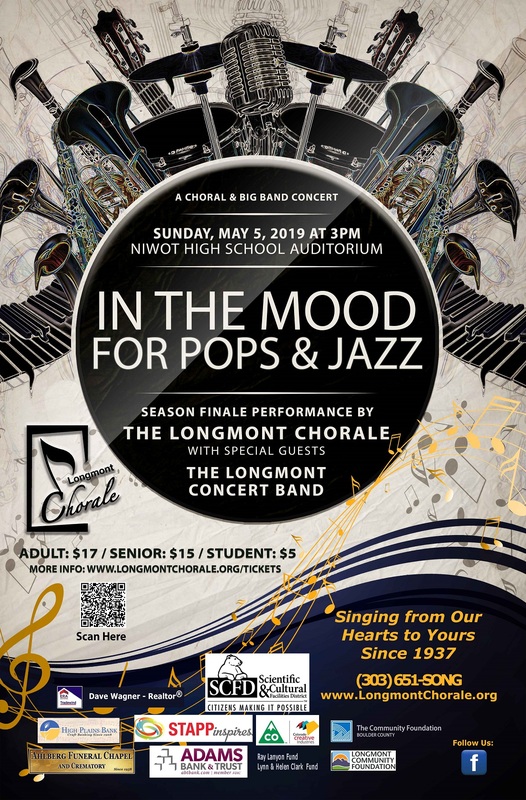 May 5, 2019, 3PM: In the Mood for Pops & Jazz – The Longmont Concert Band joins us for our blowout Season Finale performance of pops and jazz music. *Venue for the May 5, 2019 concert is Niwot HS Auditorium. Doors open at approximately 2:30PM. This concert is our first major concert with special guests, the Longmont Concert Band. “Our two organizations have been wanting to do this collaboration for a couple years, and we’re thankful for the opportunity.”, says Gary Lloyd, the Longmont Concert Band’s conductor. 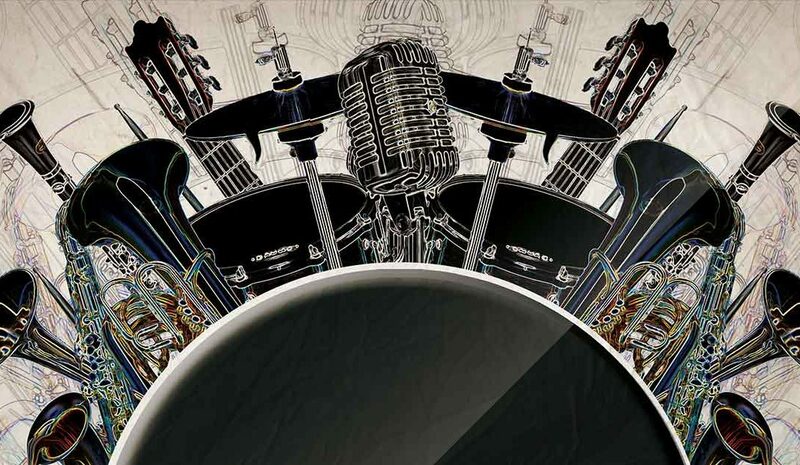 “In the Mood for Pops & Jazz” will feature a new arrangement of the jazz standard, “Someone to Watch Over Me” as well as “A Million Dreams” and “This is Me” from the popular movie, “The Greatest Showman”. These pieces are newly arranged by Longmont Concert Band board president, Doug Rasmussen, who also plays with the band. The Longmont Chorale and Longmont Concert Band will join forces for additional selections, such as “Singin’ in the Rain” and “When I’m 64”. Gary Lloyd himself will play a trumpet solo with the Longmont Chorale as they perform “What a Wonderful World”, too. Please click the poster image for a larger view. Click on the social media icons to follow the Longmont Chorale.